Rikki Davenport is our Curator of Education and oversees everything student related (plus a whole lot more) at Drayton Hall. 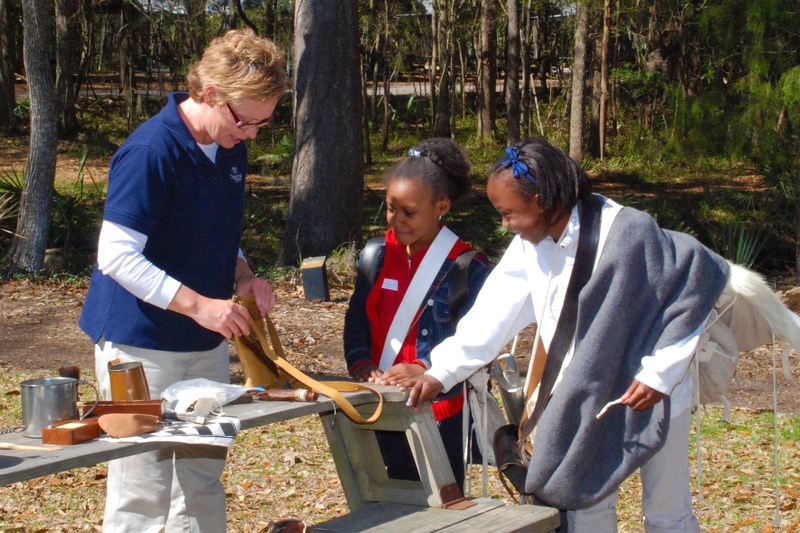 Read on for some thoughts on our most recent season of programs for students at Drayton Hall. I love fall at Drayton Hall. The days are sunny, the humidity is gone, and children are everywhere! Our fall education season had 4,450 students, teachers, and chaperones dotting our landscape as they participated in a variety of our education programs. From investigating an 18th century building to colonial cooking and camp life for soldiers, our young historians learned about the role of Drayton Hall in American history and how that history connects to their own lives. Fourth grade students at the camp life station of The American Revolution program. Nearly 3,000 of our students were fourth graders from Charleston County schools. Each of these fourth grade students participated in pre- and post- program testing to measure their growth in content knowledge in topics such as colonial life and the American Revolution. We are pleased to report a nearly 20% increase in the post-program test scores over the pre-program test scores. We are very proud of our local fourth graders and all of our visiting students who understand the importance of history and serve as wonderful ambassadors for Drayton Hall. Middle school students investigating an 18th century building. Laura Ann Shaw, BS Ed. A small sample of four Drayton Hall educators represent four Bachelor Degrees, three Master’s Degrees, and fluency in seven languages! 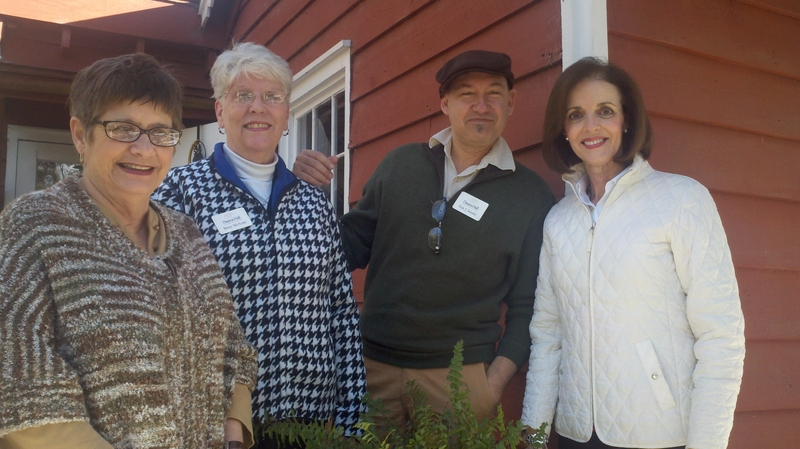 From L to R: Phoebe Willis, Betsy McAmis, Eric Snyder, and Leslie Newman.